1. Get to the Home screen and tap on Apps. 3. Scroll down to "Network Connections" option. 5. Slide the Location Switch right to the ON position (if necessary). 6. Tap Agree to proceed. 8. Choose your preferred locating method. Among the available options include High accuracy, Power saving and GPS only. 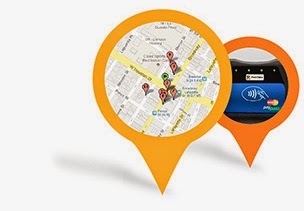 * High Accuracy - this option uses GPS, Wi-Fi and mobile networks to estimate your location. * Power saving - this option uses Wi-Fi and mobile networks to estimate your location. * GPS only - this option uses GPS to estimate your location. You now have successfully turned on or enabled Google location services on your device. So you may now let your phone initiate your location search. 4. Tap to select Location. 6. Slide the Location Switch left to the OFF position. Doing so will disable or turn off all location services including GPS on your device. 1. Tap on Apps from any Home screen. 3. Scroll down to "Network Connections" option and then tap on Location. 5. Slide the Location Switch right to the ON position (if necessary), then tap Agree to proceed. 7. Tap to select Power Saving. This will let you use location services without GPS on your device.